At Thales, we value failure over not trying. You will be free to work on your personal development and growth, your initiatives are important for the future of our company. At Thales, you are in charge of your own career. Vertical, horizontal, diagonal or international; you decide in which direction you will develop yourself. As an employee, you help our customers to think smarter and act faster, which makes you our most valuable asset. Therefore, you deserve the best working conditions at Thales. We offer forty days of vacation, a years end bonus, a profit share of the gross annual salary and a lot more. At Thales, we value empowerment over control. You are free to design your own job, and together with your multidisciplinary team you are responsible for the right output. We believe a well balanced work-life situation leads to better results. Our open and flexible work environment makes this possible. Together, we make sure you enjoy your time at Thales. Besides getting your coffee moment at our own Starbucks, we organize lots of activities, like a ski-trip with our international Young Employee Society and lunch lectures with drinks. 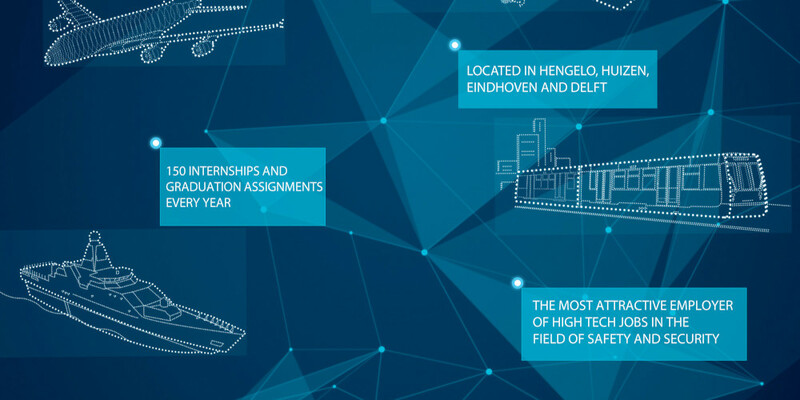 For our interns and graduates we have our own student society to give you the best Thales experience. Are you looking for an interesting job, internship or graduation project within a nice team in an international and high tech environment? Check www.thalescareers.nl for the most up-to-date vacancies! Do you want to keep up to date with news about Thales and see our vacancies? HBO en WO in de studierichtingen: Electrotechniek, Technische Informatica, Technische Wiskunde, Technische Natuurkunde, Bedrijfsinformatietechnologie, Werktuigbouwkunde, Technische Bedrijfskunde, Wiskunde en Natuurkunde.